Larkspur is part of the beautiful Empire Pass neighborhood of Deer Valley, located on the slopes of Flagstaff Mountain and Empire Canyon. 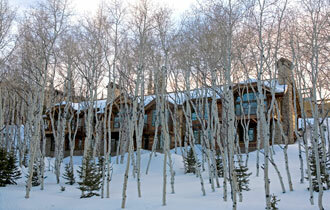 These luxury townhomes offer remarkable views of Deer Valley's surrounding mountains. Guests enjoy large inviting great rooms with vaulted ceilings, stone fireplaces, kitchens with granite counter tops, heated drive and walk-ways, heated 2 car garage and elegant finishes throughout the residences. After a day of skiing, relax in your private hot tub and breathe in the majestic views or spend time by the warmth of the fireplace with your loved ones. Our knowledgeable staff is available to offer you personalized guest services by helping arrange for anything you may need from airport transportation to dining reservations.